The statistics available on heartburn are shocking — more than 60 million Americans have heartburn at least once a month, and about 15 million have it daily. This is a huge number and thanks to our lifestyle and food habit it’s just increasing. I must confess I have a few episodes of acid reflux in a year. These happen primarily when I sleep much less than I should for 2-3 days or have too much coffee in a day. I feel restless during it, and promise myself not to repeat the mistakes again, but you know how it is. Anyways, coming back to heartburn. Let me start with some basic facts on the disorder. Heartburn is a painful burning sensation experienced in the chest below the breastbone due to the reflux of stomach acid into the oesophagus. This reflux is caused due to the relaxation of the lower oesophageal sphincter (LES) muscle that is located at the entrance of the stomach and prevents the backflow of stomach contents by staying tight and closed. The relaxation of the LES is usually a result of poor diet, unhealthy lifestyle, smoking, alcoholism, and other pathological or physiological factors. Though heartburn is a common condition and can be treated with simpler medication and natural remedies, its negligence can lead to a more severe disorder called gastro-oesophageal reflux disease (GERD). This is the reason why one should be careful with heartburn as GERD is indeed a serious problem. 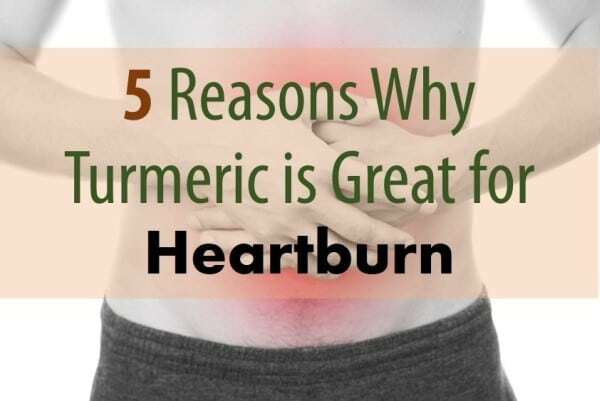 I discuss how turmeric can help in heartburn / GERD in this article. Turmeric is an herbal medicinal and edible plant which is used mainly as a coloring agent in curries, mustards, butter, and cheeses. Its underground finger-like stems also known as rhizomes are dried and made into a powder which is then used for several purposes. 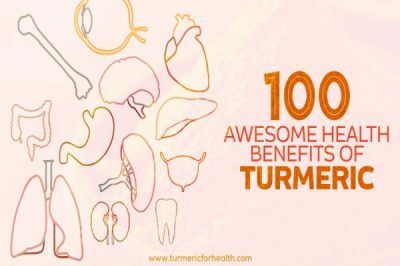 The root of turmeric is majorly used to make medicines used to treat diseases like arthritis, dyspepsia, inflammation, bronchitis, cold, menstrual problems and several other common and uncommon disorders. It is a widely used herb in tropical Asian countries including India, Pakistan, Sri Lanka and Nepal where it is popularly used both as a spice and as a first line of medicinal aid in case of several common disorders that accompany inflammation, pain, and swelling. 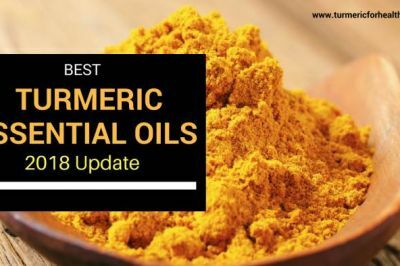 Recent research has revealed that a major active ingredient in turmeric called Curcumin might be responsible for its anti-inflammatory, anti-microbial and anti-oxidative properties . These studies have mostly been done on laboratory animals but have not yet been confirmed in humans. 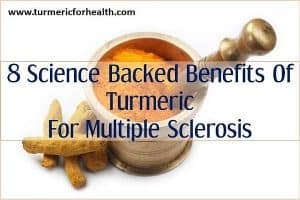 However, traditional usage of turmeric since centuries has given positive results for the treatment of several diseases with least amount of side effects. Indigestion or dyspepsia is considered one of the biggest culprits behind acid reflux. This is because when the food is not properly digested, it is retained in the stomach for a longer time that stimulates more acid production and builds up aressure on the LES. This causes opening up of the sphincter muscle and the excessive acid produced easily flows up to cause heartburn. In a clinical trial that aimed to analyze the effects of curcumin or turmeric on patients with dyspepsia, irritable bowel syndrome and other stomach conditions, it was found that patients taking 1 gram curcumin twice daily for 6 months recovered faster from indigestion. It was also worth noticing that the symptoms of indigestion and dyspepsia related disorders did not return with regular dosage of turmeric . Another study on non ulcerative dyspepsia reported that the possible components in turmeric that heal the gut are the volatile oils composed mainly of turmerone, zingiberene and most importantly cucurminoids (phenolic form of cucurmin). The possible mode of action by which these compounds increase digestion is by enhancing the formation of bile juices, promoting the contraction of the gall bladder, and the components of the oil acting as carminatives that improve digestion . These results indicate that turmeric besides having anti inflammatory, anti oxidative, anti microbial, anti platelet and anti cancer activities; can also enhance digestive capabilities of the stomach, thus reducing the incidences of dyspepsia and consequently heartburn. What it means: Indigestion is key cause of excessive acid production. Research indicate that turmeric can help in several ways in such situation. Peptic ulcers are a result of long term acid reflux where the excessive acid attack on the walls of the stomach and oesophagus damage the cell lining and create ulcers. These ulcers grow in size and cause excessive pain and burning sensation. The pain in some patients is so severe that it reduces the appetite, leads to bleeding and anaemia. In a study done to test the safety of turmeric in gastric problems, it was revealed that turmeric is an extremely safe drug to heal peptic ulcers. Its major ingredient cucurmin works on the stomach in several ways to heal the ulcerations and wounds in the gut lining, thus reducing the consequent symptoms of heartburn and other gastro intestinal diseases. 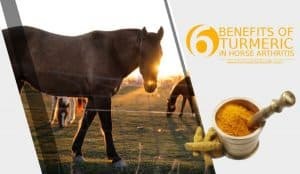 The proposed mechanism of action of turmeric or curcumin on the ulcers is that after ingesting turmeric, its active ingredients reduce the secretion of the hormone gastrin in the stomach which stimulates acid production. It also exerts a local anaesthesizing action that reduces the pain in the wounds. 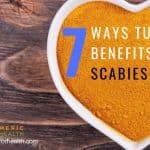 It was found that in rats, turmeric also induces the secretion of mucein that protects the wall of the gut from acid attack but this study has not yet been confirmed in humans. Thus, the stomach helps heal acid and indigestion induced peptic ulcers, consequently reducing pain and discomfort . What it means: Turmeric’s healing properties can help heal peptic ulcers and thus reduce discomfort. Turmeric has long been used as an anti-inflammatory agent for different parts of the body. Heartburn causes inflammation of the oesophageal epithelial cells that result in pain and ulceration. It has been shown that curcumin has an ability to inhibit the action of an enzyme glyoxalase (Glo1) which in turn modulates several metabolic pathways to stimulate the clearing up of oxidative and inflammatory agents from the tissues. This reduces the level of inflammation and thus the resulting symptoms such as swelling, pain, ulceration etc . Another similar study revealed the scientific connection between heartburn and inflammation and the role of curcumin in it. During heartburn, the acid induces several chemicals called cytokines in the cells of oesophagus. These cytokines namely IL-6 and IL-8 are expressed via activation of several signalling pathways that include factors like NF-ƙB and MAPK. The final increased production of IL-6 and IL-8 causes blood cells to attack the target site and cause swelling, inflammation, pain, difficulty in swallowing, bruising and other symptoms. Curcumin was found to inhibit the factor NF-ƙB, thus reducing the acid induced production of IL-6 and IL-8, and consequently inflammation . What it means: Anti-inflammatory properties of turmeric can help in treating symptoms and also reducing the acid produced. Yet another study on oesophageal damage has showed that curcumin is an effective inhibitor of the enzyme cycloxygenase 2 (COX-2) which is responsible for the generation of oxidative and inflammatory prostaglandins. Curcumin is also found to have an ability to enhance the production of the enzyme SOD which is responsible for clearing up reactive oxygen species in the cells. Reactive oxygen species are formulated in the tissues when there is any damage caused to the cells. These reactive molecules upon activation start killing neighbouring cells, causing extensive wounding and ulceration. The inhibition of COX-2 and up regulation of SOD successfully ameliorates inflammation and wounding in the oesophageal epithelial cells and provides quick relief from heartburn induced damage, tissue oxidation, inflammation and pain. All these results have proven the efficacy of turmeric in reducing the overall symptoms of heartburn and other gastric diseases. 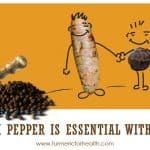 What it means: Turmeric’s anti-oxidative properties clears reactive oxygen thus limiting the damage caused to heartburn. Upper abdominal pain is a common complaint amongst heartburn sufferers due to the functional disorder of the biliary system. These pains or cramps have been shown to be successfully treated by the administration of curcumin or turmeric extract in a clinical study. Several types of pains due to the problematic gastro-intestinal system including heartburn have been cured using turmeric ingestion and all these evidences prove that turmeric is a safe, fast and effective natural remedy to relieve symptoms of heartburn. What it means: Turmeric can prove to be helpful in abdominal pains due to heartburn. Turmeric’s round finger like rhizomes can be powdered and administered directly though oral means or by adding in milk, water or food. It is also taken in teas, smoothies, infact almost everything. For an upset stomach, usually, about 500 mg of turmeric powder should be taken four times daily. 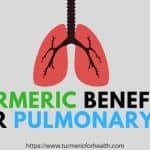 I recommend using a good quality turmeric powder as part of your regular diet for life long benefits. 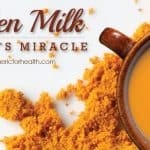 Taking a pinch of turmeric with milk or adding it in food everyday helps prevent the symptoms of heartburn, gastric diseases and other functional disorders from occurring, without causing any side effects. 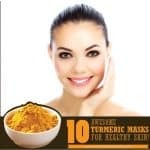 If taking turmeric for the first time, it should be started off with minimum dosage to find out the problem of allergies or any other reactions. 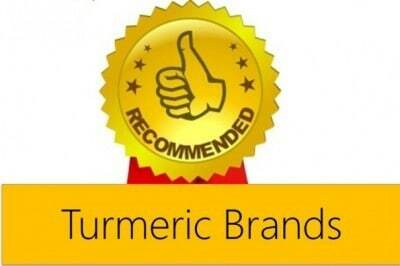 Turmeric is one of the safest herbs that have been used since centuries in the whole world. It does not cause significant side effects but an overdose for a long period of time may lead to gastric pain, diarrhoea and nausea. During pregnancy, it is safe to take turmeric in normal amounts as a spice. However one should avoid taking turmeric supplements during pregnancy. 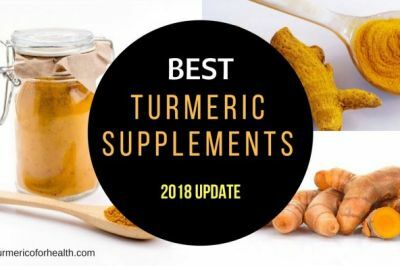 Turmeric might interfere with the functioning of certain medications that act on blood (for blood clotting), diabetes medications and estrogens amongst some others. It might either increase or decrease the action of these medications depending on its nature of interaction with these drugs. 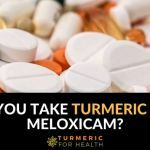 Thus a person who is on some medications for another serious ailment of the body should never take medicinal doses of turmeric without a doctor’s prescription . 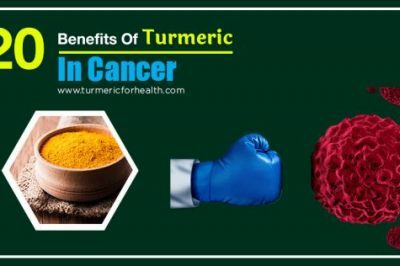 Turmeric is a wonder herb for treating a number of disorders like pain, inflammation, menstrual problems, colic, nausea, headache, vomiting, fever, leprosy and many more. 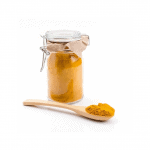 One important use of turmeric is in its treatment of gastro oesophageal reflux disease or acid reflux. 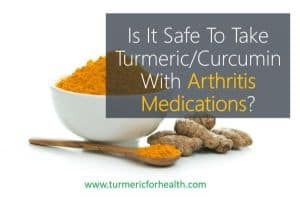 Curcumin is responsible for most of its healing activities such as anti-inflammatory effects, anti-ulcerative effects, pain reducing effects and protection of the gut cells from acid attack. 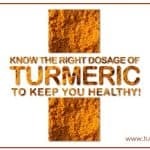 Turmeric should be made part of your diet and taken daily in food in small amounts. This helps prevent several disorders and keeps the body healthy. Is any SCIENTIFIC RESEARCH (references) on turmeric interaction with antacids (eg. PPI, Zantag) ? How do you drink turmeric before meal or after meal, how should drink also banking soda. It is advisable to take turmeric with or after a meal. Taking it on an empty stomach can trigger acid reflux in some individuals. 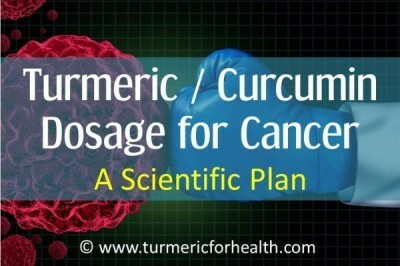 Turmeric is very useful when using for arthritic pain, anti-cancer, anti-inflammatory. However, when I started taking 750-1200 mg a day (for about 4 months) I developed LPR (like GERD but symptoms mostly in the larynx, lungs from acid exposure). I took other antioxidants as well, but still suspicious of the turmeric; because of the connection with the gallbladder producing more bile and not to be used if you have bile obstructive disorder or gallstones. I have neither, and I also drank a lot of coffee; nevertheless, I would start out on much smaller doses if you plan on using it for the long haul. Wish I did, now I’m on Zantac & antacids daily where I took no prescriptions before as an otherwise healthy 56 year old female. Vickee, thank you for sharing your experience. 750-1200mg is a fairly high dose. If you are not taking it with meals then it could cause gastric side effects or reflux. 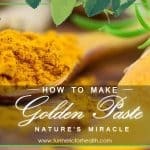 If you are taking turmeric as a preventive measure or simply to maintain health we would suggest you to take The Golden Paste. Dietary turmeric wouldn’t cause problems unless you are allergic to it. 1-2 teaspoon a day should be fine. I’m not a salesperson, I’m just a single mom with Fibromyalgia, Osteoarthritis, digestive problems and severe GERD. You should look into Cur-Ost HU products with Turmeric and Curcumin. It has done wonders for me. I’ve been able to avoid surgery and cut back on three prescription medications because of how much it has helped. Feel free to email them any questions, they always are happy to talk to you to help you get the right product for you (to go with your illness and medications). Nouvelle Research (look for the HU human formulas). The canine seems to have Zero intolerance to 450 mg a day. She’s 11 lbs. Laps it up with coconut oil. Stopped turmeric for 1 mth. After 1 yr. Of use. Within 3 wks. Her gait became stiff, & she stopped running. After resuming the second dose, she moved a bit more, after 1 wk. She’s walking less stiff. I’m sure after 2 wks she will be running again. Either way, we won’t stop giving to her, as the vets always run to prednisone. & after that fiasco showed me, what little they actually know about The word Thrive…..Or the name Hippocrates….. The last straw was vca hospitals recommendation, to give a 11 lb canine with itp, 10 different vaccines……While the only vet I could trust says NEVER VACCINATE HER AGAIN!!! Studies show its clear after the 1st rabies vaccine, canines were still OK, up to 10 yrs later….tithers….If you love your canine, spend sometime & learn how to feed & support their naturally healthy system, ( as your own) rather than poison & prematurely / fail to thrive, at the cost of their 2 nd homes & sports cars…… Reality is, there’s no $$$% in it for them, in fresh whole food, turmeric,, milk thistle, vit k. Or any other herbs that provide healing….. Anything with Turmeric in the ingredients list such as taco seasoning or mustard gives me bad indigestion and heartburn…..
Taco seasoning also has onion powder and cumin, which are known to really mess with reflux (Onion powder really messes with me bad). Mustard is loaded with vinegar and is pretty highly acidic. 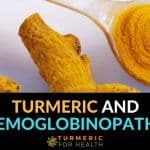 I just started taking a curcumin complex supplement yesterday to see if it worked for my foot pain (plantar fasciitis). And i’ve noticed it’s stopping my gerd in its tracks, even after eating pizza. I actually found this by searching if it works for GERD too. Pretty blown away by how well this stuff works, I’m usually such a skeptic about holistic medicines and stuff. Granted this is like super concentrated compared to regular turmeric and a little pricey but it’s stopping pain that even Vicodin or Percocet haven’t been able to shut off. I’ve tried stuff before like coral calcium, ginko biloba, and ginseng and they didn’t do jack shi* for me, this curcumin stuff is pretty amazing. It didn’t help my GERD. My heartburn gets worse every time I use turmeric.